A MAR Online reader noticed that Dave Turner’s recent article on Ford Capri’s mentioned that he had written several previous parts. 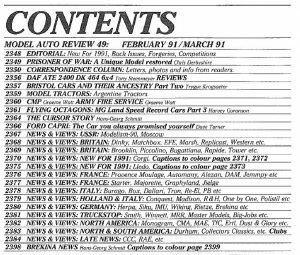 Our reader wanted to read those other installments so we aim to please! 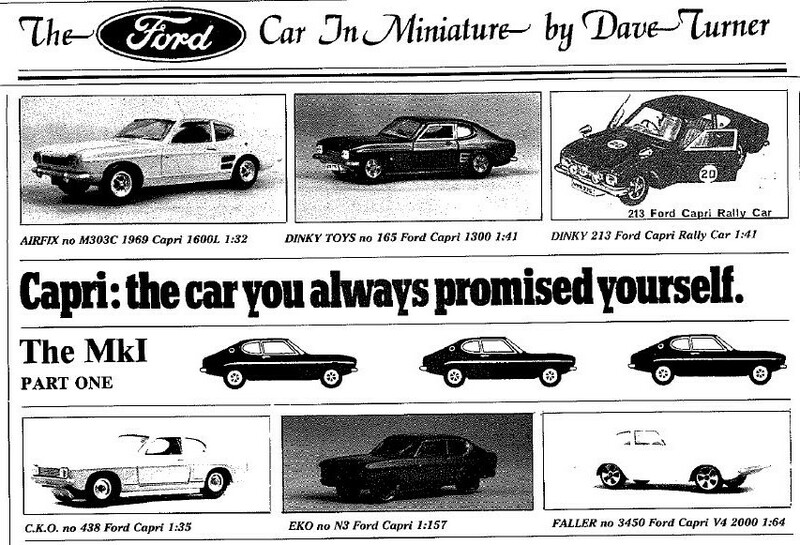 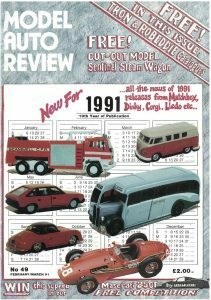 Dave published Part I many years ago in Model Auto Review 49, Feb/Mar 1991. 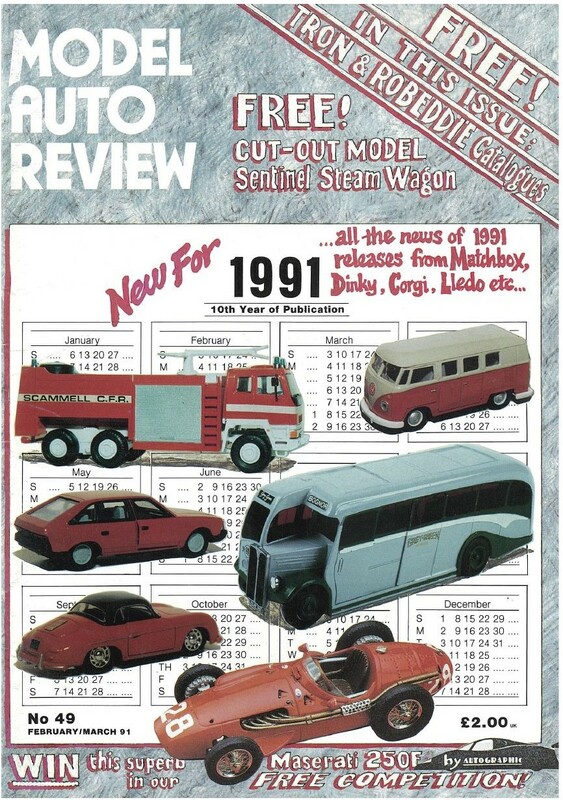 Here is the front cover and Table of Contents from that issue. 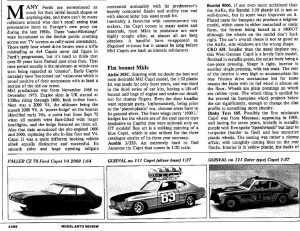 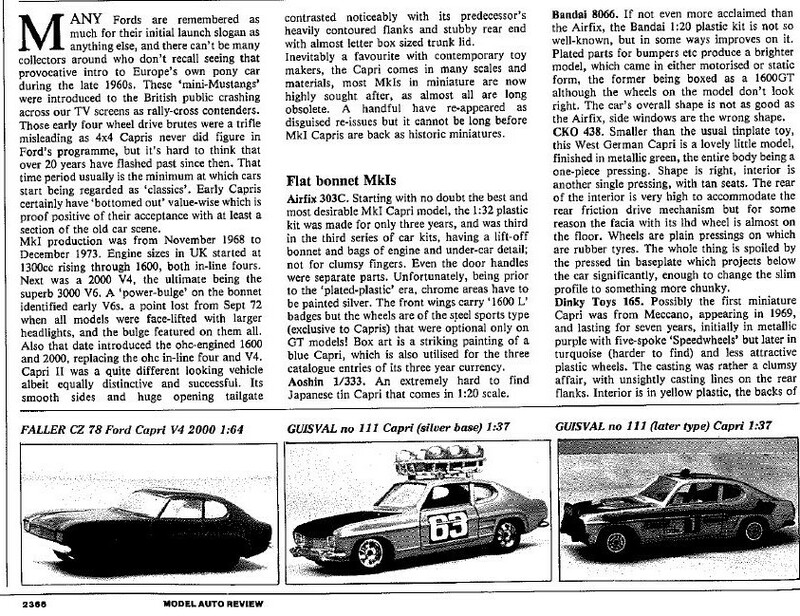 The Capri article had some B&W photos and the text spread across two pages. 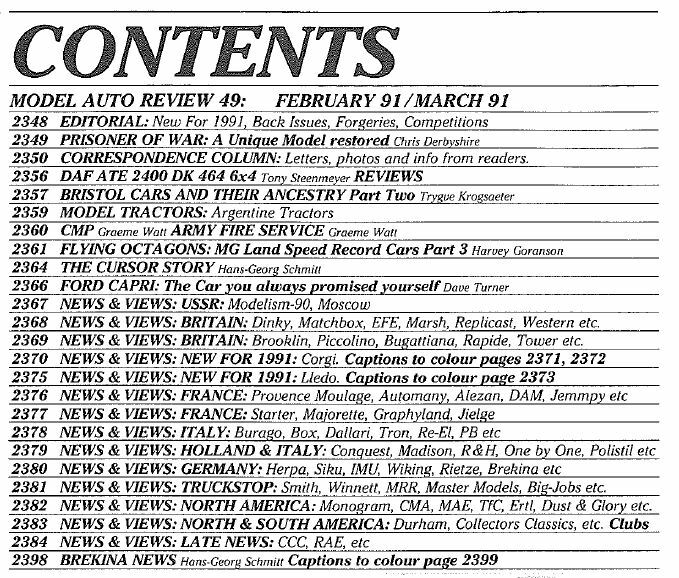 We hope you can read it; click on the images to see larger versions.